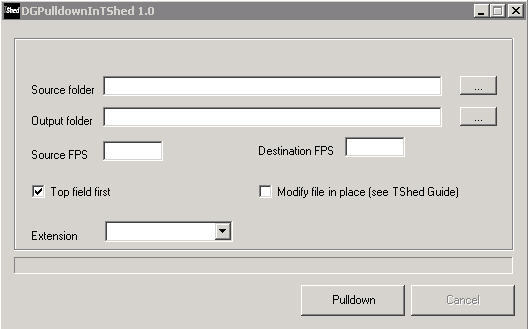 ToolShed (or TShed) is a program that provides front-end interfaces for batch processing media using some of the most widely used video/audio freeware available. At this time, TShed only provides tools for DGPulldown, Quenc and HCenc. Fixed major bug found on the QuencInTShed, FFMpegInTShed, HCencInTShed and MKVExtractInTShed. When the user drops files onto the List View, then rearranges the data, if the user didn't save the project, then the program ignored the rearrangement and processed files in the order that they were originally added to the List View.